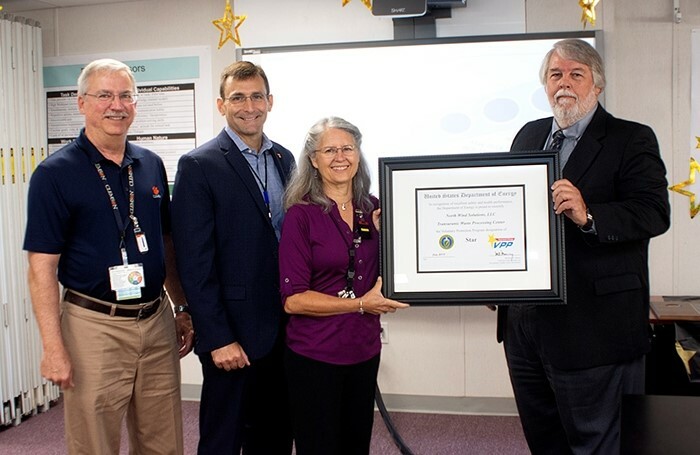 Oak Ridge officials stand with the DOE Voluntary Protection Program Star Site Award. 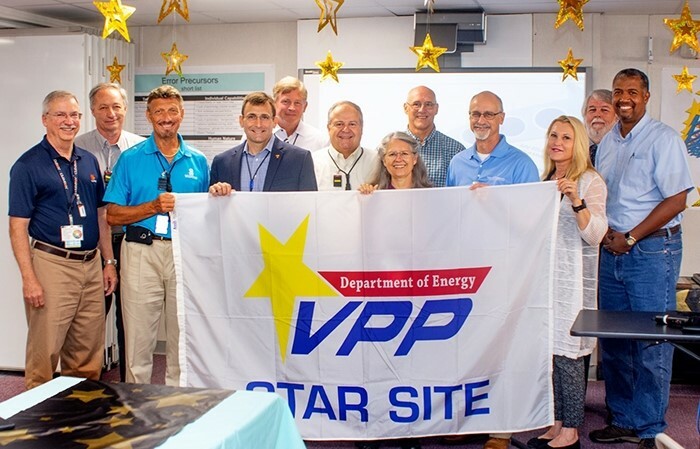 On August 30, 2018, employees at Oak Ridge’s Transuranic Waste Processing Center (TWPC) received the DOE Voluntary Protection Program’s (VPP) distinguished Superior Star Award. TWPC is operated by EM contractor North Wind Solutions. 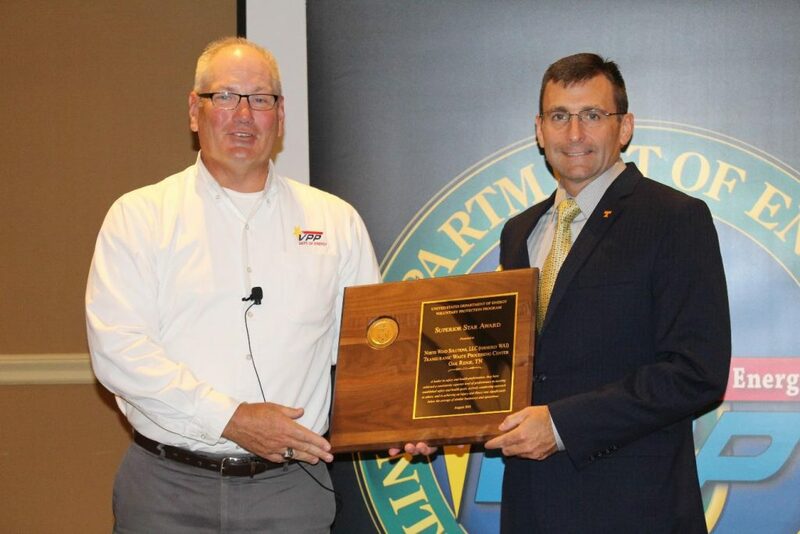 Contractors whose programs meet the highest requirements for outstanding safety and health programs receive recognition from the VPP safety program. Earlier this month, employees at the site gathered to celebrate completing a year of safe shipments to EM’s Waste Isolation Pilot Plant. A couple of weeks later, they again assembled to be recognized for their commitment to safety in all aspects of their operations. Employees from the Oak Ridge Office of Environmental Management and North Wind Solutions hold a flag that will hang at the Transuranic Waste Processing Center. A VPP Star site of nine years, TWPC consistently meets safety and health goals and has an injury and illness rate significantly below the average of similar entities. “We are pleased that the workers’ commitment to safety, their active involvement in work planning and hazard analysis, and their willingness to identify improvements and raise questions was evident to the VPP review team,” said Linda Beach, TWPC Program Manager. VPP began in 1994 to promote improved safety and health performance through publically recognizing outstanding programs. Since that time, DOE has seen improved labor and management relations, reduced workplace injuries and illnesses, increased employee involvement, improved morale, and reduced absenteeism at participating sites. © 2019 TRU Project | ALL RIGHTS RESERVED.